Our ice dam heat tape is designed for residential and commercial ice dam prevention. 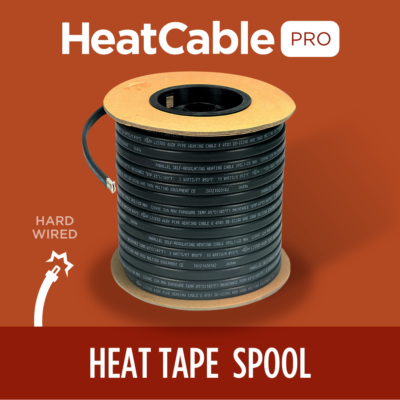 Unlike cheap, big-box ice dam heat tape, our cables are self-regulating, only asking for the power they need to do their job. This saves you a lot of money in the long run by not wasting electricity. Our heat cable is also perfect for gutter de-icing and pipe heat tracing applications. Suitable for gutter de-icing and ice dam prevention applications on shingle, metal, plastic, tar, wood roofs and metal or plastic pipes up to 6″ for pipe heat tracing applications. The table below indicates maximum circuit lengths for 120 volt HeatTape PRO heat cable at different start up temperatures. 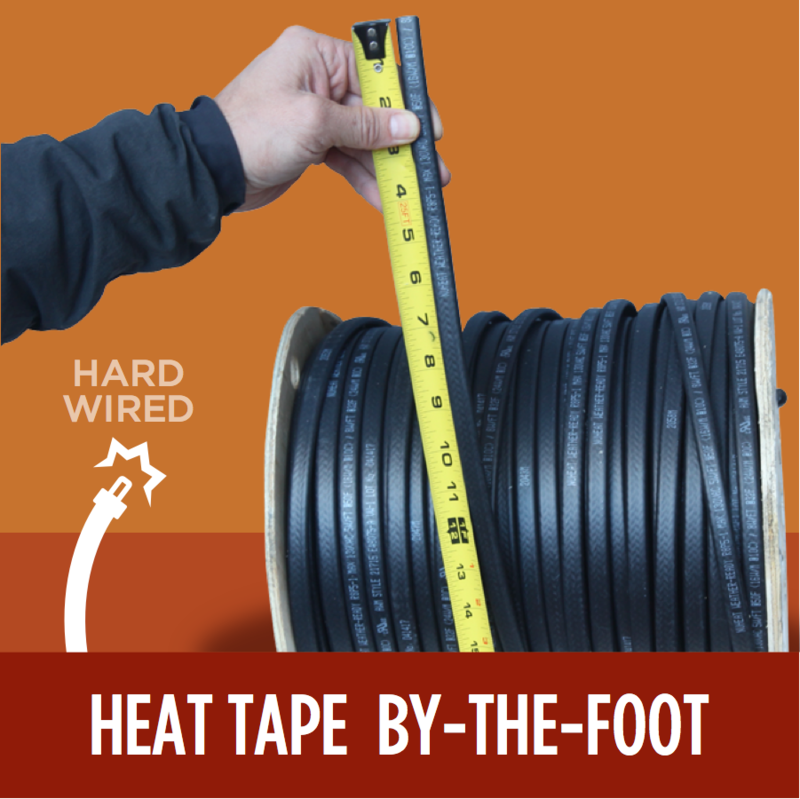 The figure in black represents the maximum length of a HeatTape PRO heat cable in feet.